When I really love a recipe, I like to find new ways to mix it up. 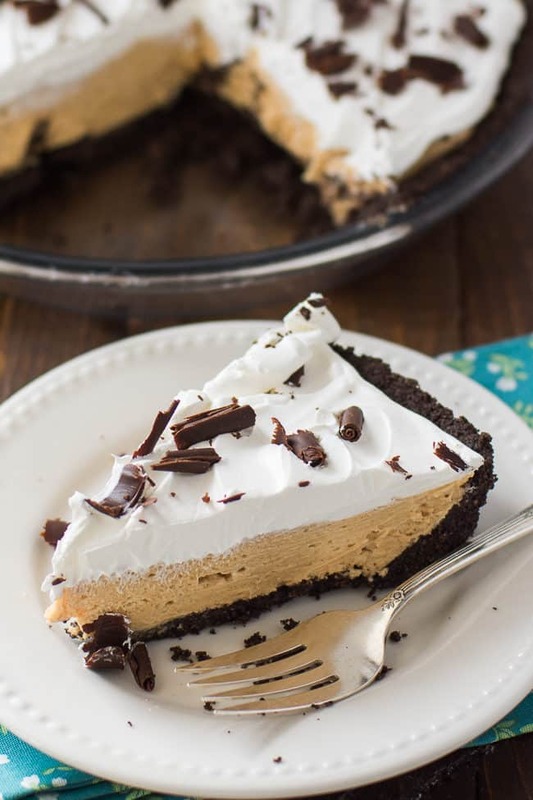 This chocolate peanut butter pie is based on my easy peanut butter pie recipe, but includes a yummy OREO crust and some pretty chocolate curls on top. If you’re a fan of chocolate and peanut butter you’re going to absolutely adore this simple pie recipe! Our family dessert tradition during big holiday meals is to bake a few different pies and line them up on the kitchen island like a pie buffet. This chocolate peanut butter pie is a great dessert for those big holiday dinners because it’s so simple to make. Even those pretty chocolate curls on top are pretty easy to make, but they definitely add a special touch. 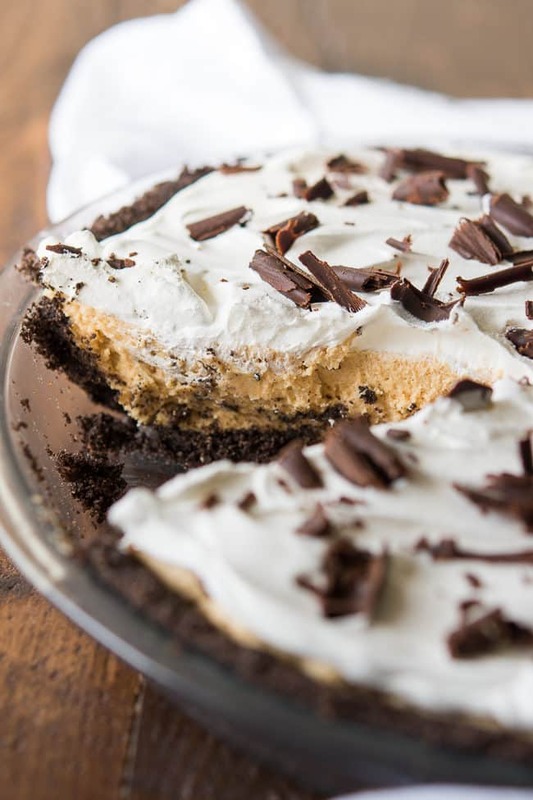 The crust on this chocolate peanut butter pie was made using Peanut Butter OREO Cookies. I’m honestly not sure if Peanut Butter OREOs are available throughout the year, and if you can’t find them, regular OREO Cookies will work just as well. RELATED: Don’t miss my amazing pineapple dream pie recipe and this authentic Amish shoo fly pie! I LOVE pies made using an OREO crust. 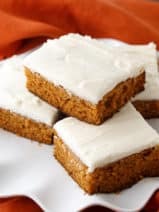 There’s just something so delicious about it that reminds me of desserts that I ate as a kid, and it’s also a nice change from traditional graham cracker crusts. As much as I adore this OREO pie crust, I want to share a little secret with you. If you don’t have time to make your own crust you can absolutely just use a store-bought pie crust and follow the rest of the recipe for the filling and topping! 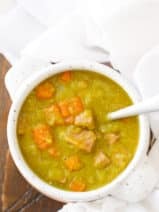 I’m all about saving time and I’ve even done that once or twice with this recipe myself. The filling in this easy pie recipe will send you to peanut butter heaven. 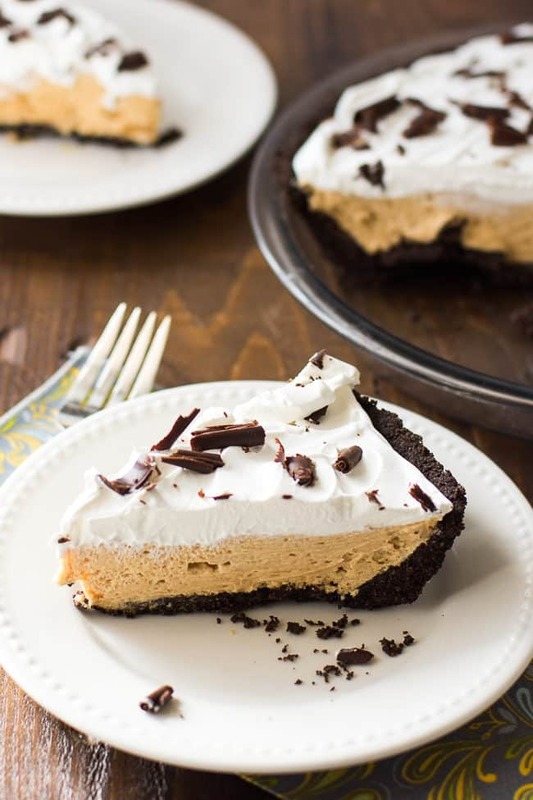 It’s so light, creamy and delicious that I can confidently this chocolate peanut butter pie is one of my all-time favorite dessert recipes. 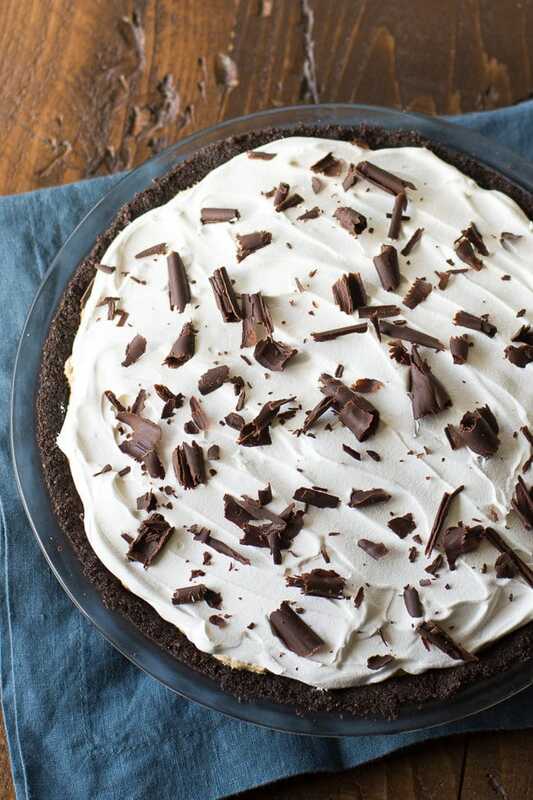 This cool, creamy and delicious pie is easy to whip-up and a crowd favorite. Add the cookies to a food processor and pulse until fine crumbs are formed. Add the butter and pulse until blended. Dump mixture into a 9-inch pie pan. Firmly press into the bottom and up the sides. Bake at 350 for 6 to 7 minutes. Set aside. Pour into the cooled crust and spread evenly. Spread the remaining whipped topping evenly over the filling. 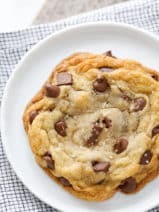 In a small microwave safe bowl melt the chocolate and the crisco at 30 second intervals and stir until blended. Pour onto the back of a metal pan, I used a 9×9 inch square pan. Spread very thin, I covered the whole pan. Put in the freezer for 3 minutes. Using a spatula pushing forward, scrape the chocolate forming curls. Sprinkle the curls evenly over the top of the pie. Refrigerate for a minimum of 2 hours or overnight. I just made this for my husbands “pie day” tomorrow 3.14 since he is an accountant. I am excited to hear how it is. Chilling now! Thank you for posting. This chocolate peanut butter pie is amazing! It looks delicious! 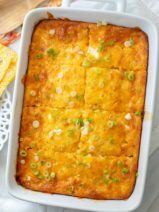 We’ve just discovered your blog and we’re loving it and your recipes! 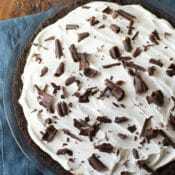 This Chocolate Peanut Butter pie is amazing and I want to make this recipe. Thanks for sharing.